A rare Liberty Cymric lidded jar by Oliver Baker. 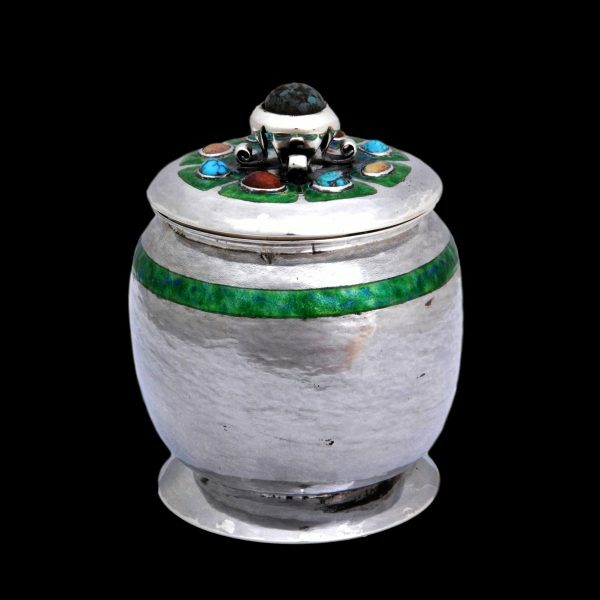 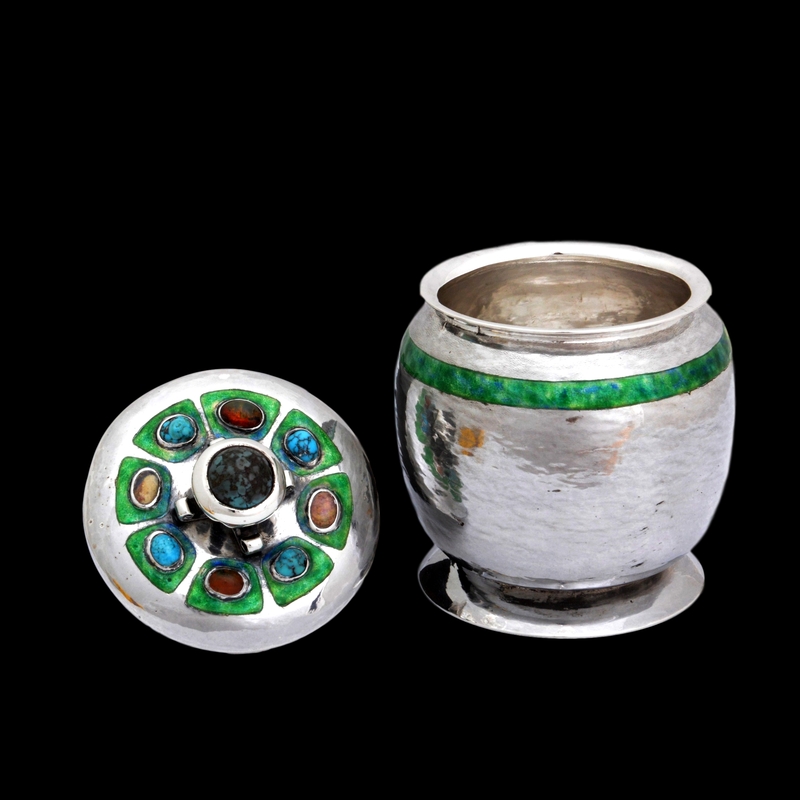 The lid studded with fire opals, enamel and other stones centred by a large raised turquoise. 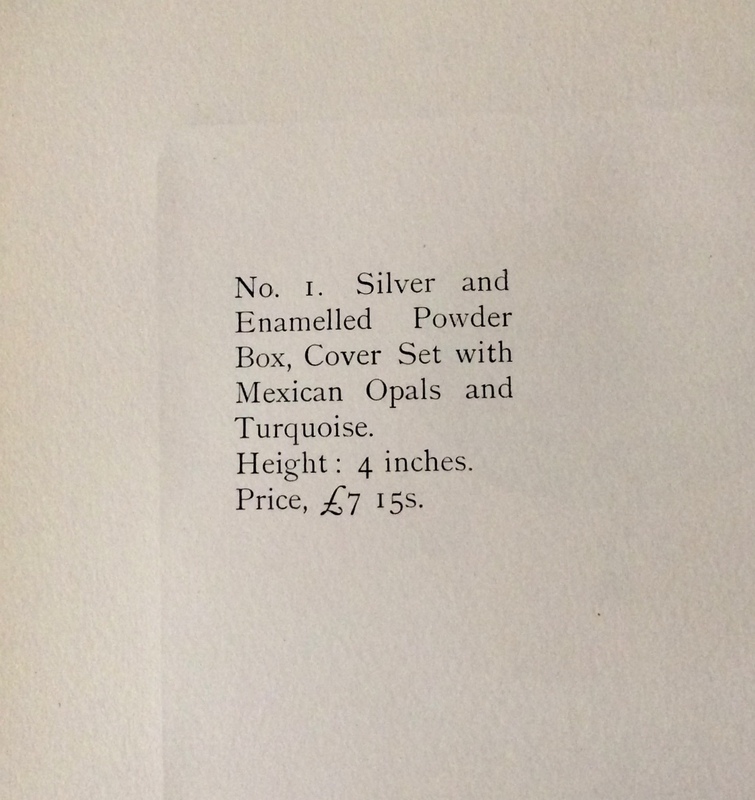 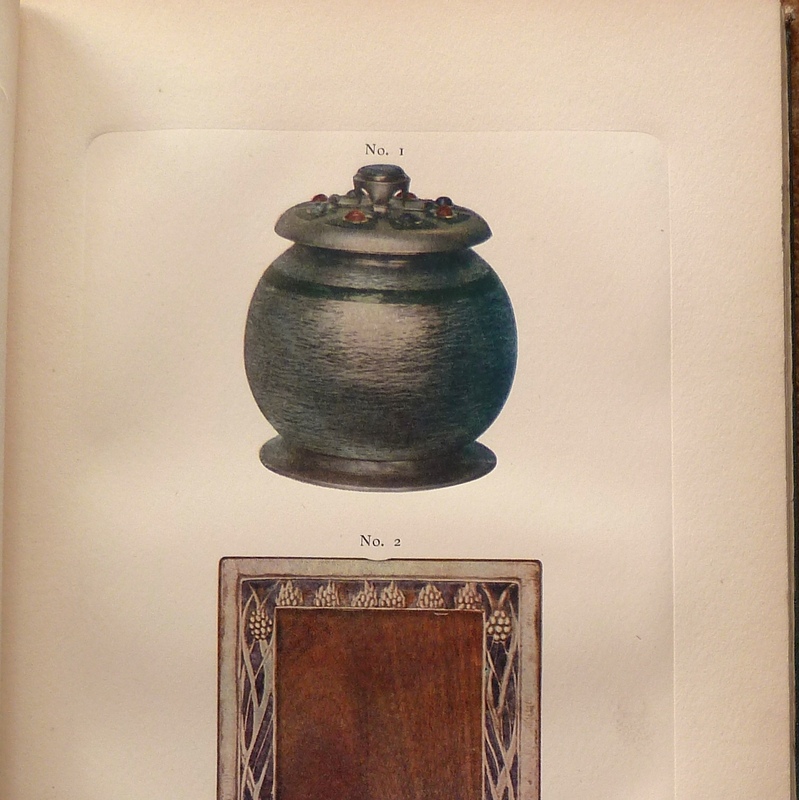 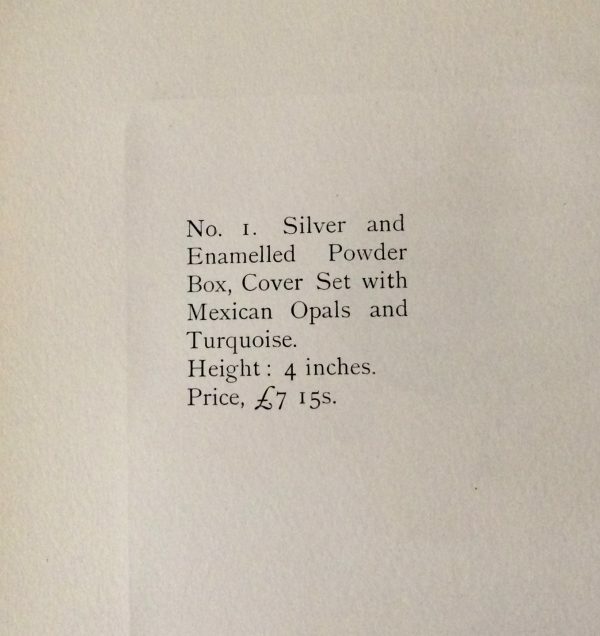 This jar is model 609 in the Liberty sketch book and was published in the earliest Liberty Cymric illustrated catalogue (see images), page 33 described as a “Powder box” and priced at £7 15s. 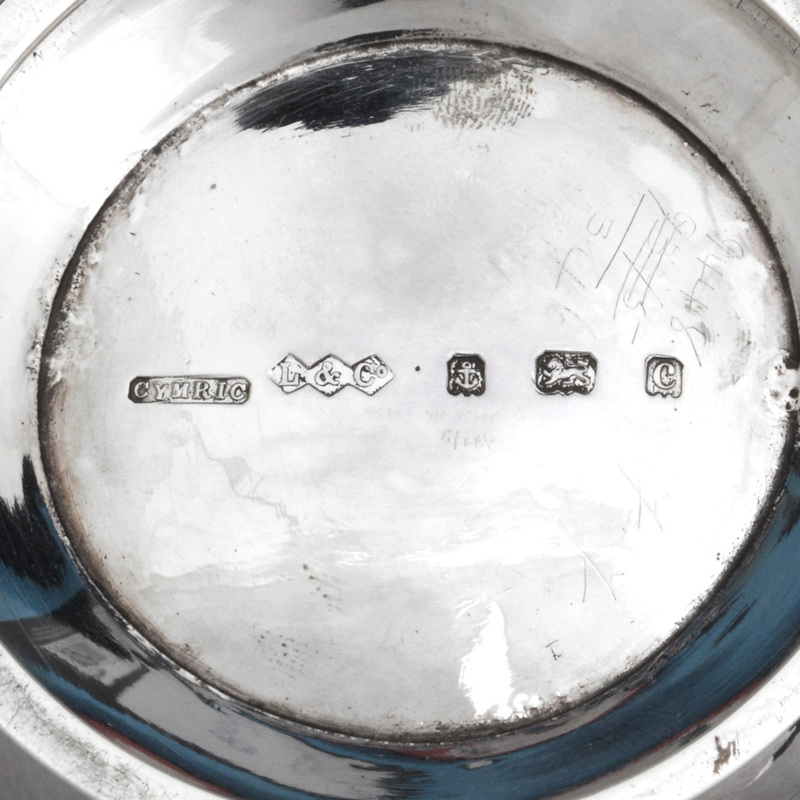 Condition overall is excellent, there is one small area of enamel restoration visible to the enamel around the body. 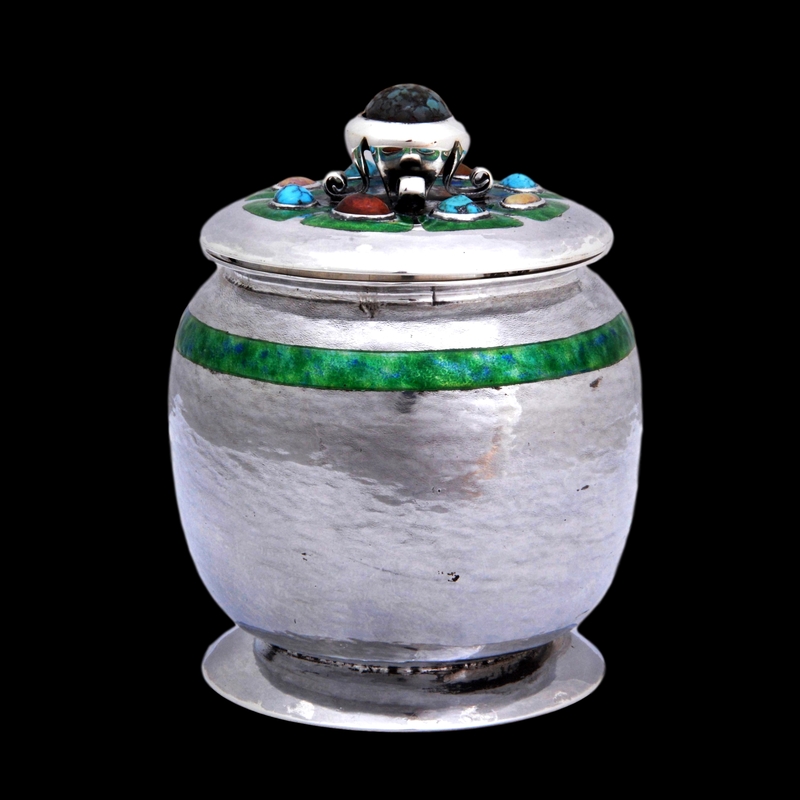 The lid’s central turquoise is slightly chipped at the base. 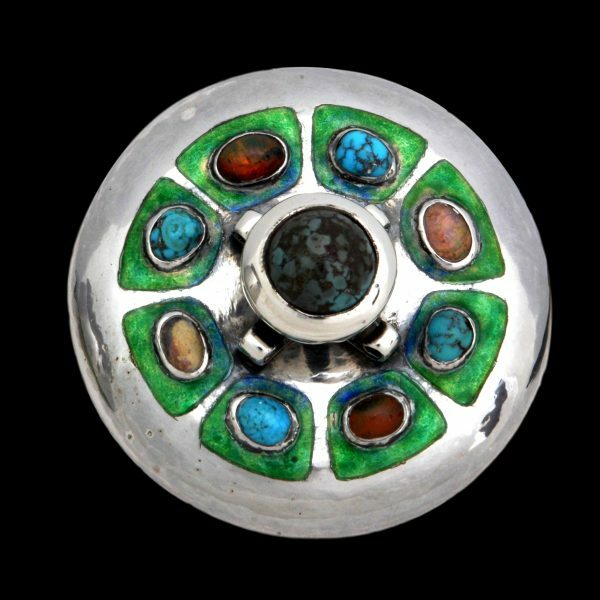 A stunning jewel like piece, heavy and satisfying in the hand like most Baker designed pieces.